Leah Ellis never knew why she was abandoned on the beach at two years old. That is, until her life takes a bizarre turn when she begins seeing images in mirrors she can’t explain - cloaked figures using powers that manifest like lightning bolts, or flash-frozen beaches on another world beneath a purple sky. She practices mirror-gazing, driven to understand these images and their possible connection to her forgotten past, and discovers a wild, boundless power coursing through her veins. Soon, she learns to control what the mirror shows her. When new neighbors move in, Leah is shocked that they're dead ringers for the people in her visions. 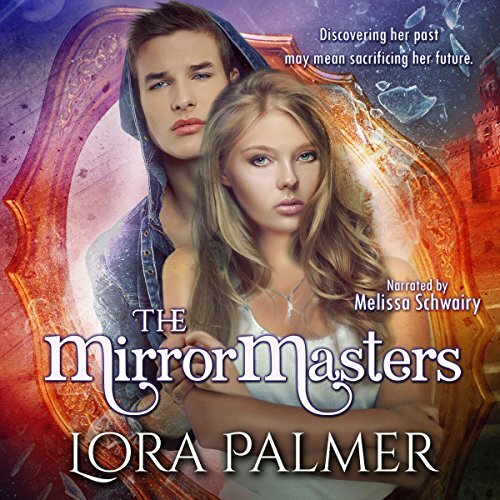 According to Brian, with the gorgeous ice-blue eyes, and his father, she is a MirrorMaster - an alien with a gift that lets her travel through mirrors, even to worlds light years away. Her birth parents sent them to take her back to her homeworld of Jantyr. But Leah’s long-lost birth sister activated an ancient device to trigger a cataclysm on Jantyr as a bid to consolidate her own power. Leah must return to Jantyr, master her newfound ability in order to disable the device, and thwart her sister’s plans. Otherwise, the destruction will consume the entire galaxy, including Earth and everyone she loves.